The team found that a protein (TRPV4), which is a part of the body’s defense system, is able to activate the release of a gas (nitric oxide). This gas then blocks one of the enzymes (CYP2E1) that is a major contributor to non-alcoholic liver disease and its progression. TRPV4 is already known to protect against cardiovascular abnormalities. Now that this protein’s capacity to block the development of non-alcoholic fatty liver disease has been discovered, the next step is to harness its preventive and treatment abilities. According to the authors, a new generation of TRPV4 agonists can now be tested to improve outcomes related to non-alcoholic fatty liver disease. The agonist is a chemical that will bind to this protein and activate the release of nitric oxide to block the harmful enzyme. Once the appropriate agonist is identified, it can be incorporated into medication for clinical treatment. 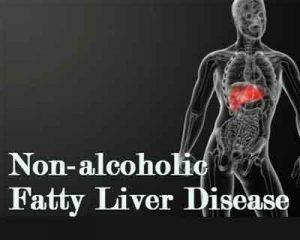 Non-alcoholic fatty liver disease occurs when there is a buildup of extra fat in the liver (i.e., more that 5-10 percent of the liver’s total weight) coupled with liver inflammation that is not caused by alcohol.